SELTMP is the Social and Economic Long Term Monitoring Program for the Great Barrier Reef. SELTMP is assisting Reef managers and other decision-makers within the Great Barrier Reef region to incorporate the human dimension into their planning and management. 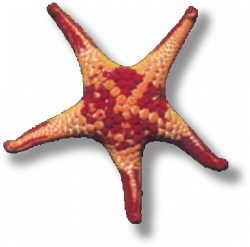 Analogous to the Australian Census, SELTMP gathers long-term data specific to Reef users, communities and industries, enabling new insights into relationships, vulnerabilities and dependencies between people and the natural resource. People are a part of the Great Barrier Reef. Today, management of the Reef requires more than a comprehensive understanding of the biophysical pressures, ecosystem states and responses. Understanding the human dimension of the Reef, including how people, industries and communities interact in it, value it, perceive it, and respond to environmental and societal changes is essential for long-term planning, and for evaluating the outcomes of management decisions. SELTMP synthesises existing socio-economic data from a wide range of sources, then fills key knowledge gaps by conducting large-scale surveys of Reef user groups. The first of such surveys, in 2013, questioned 8,300 people (commercial fishers, tourism operators, tourists, coastal residents and national residents), about their dependence, usage and affinity with the Reef, as well as their perceptions, values, experiences, attitudes, behaviours and norms. As longitudinal data and knowledge are accumulated through repeated surveys, the value of SELTMP to Reef managers and the Australian public will increase. SELTMP was established in 2011 with funding provided by the Australian Government under the National Environment Research Program (NERP). SELTMP is led by researchers from CSIRO and James Cook University, in partnership with the Great Barrier Reef Marine Park Authority, The Great Barrier Reef Foundation and NQ Dry Tropics Ltd Natural Resource Management organisation. More than 100 people, representing multiple government agencies, community groups and industries in the GBR region have contributed expert knowledge and ideas towards the objectives and design of SELTMP. The program includes advice from state and Australian Government agencies, conservation planners/managers, industry bodies, local communities and others. These groups include the Great Barrier Reef Marine Park Authority, Department of Premiers and Cainet, the Queensland Seafood Industry Association, the Association of Marine Park Tourism Operators, the Fisheries Research and Development Corporation, Queensland Department of Environment and Heritage Protection, Queensland Department of Agriculture, Fisheries and Forestry, Tourism Queensland and the Queensland Parks and Wildlife Service. Long-term social and economic monitoring helps reef managers understand the current status, historical trends and possible future trajectories of marine park users, industries and communities. It also helps build a picture of how industries and communities are likely to respond and cope with changes associated with environmental degradation, climate change, regulatory frameworks, and changes in culture. It can also assist in evaluating the effectiveness of management interventions. Providing GBR management, communities and industries with better access to social and economic information necessary for planning purposes. Strong liaison with GBR stakeholders on the social and economic status of the region. 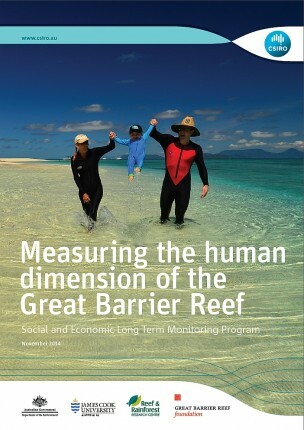 For 16-page summary - "Measuring the human dimension of the Great Barrier Reef - Social and Economic Long Term Monitoring Program". For more information see Project 10.1 'Social and Economic Long Term Monitoring Programme (SELTMP)'; on the NERP Tropical Ecosystems Hub site.